Paper planes recently made an appearance during a debate in the Indian Parliament. However, folding sheets of paper for hours of flying fun is becoming a lost art. 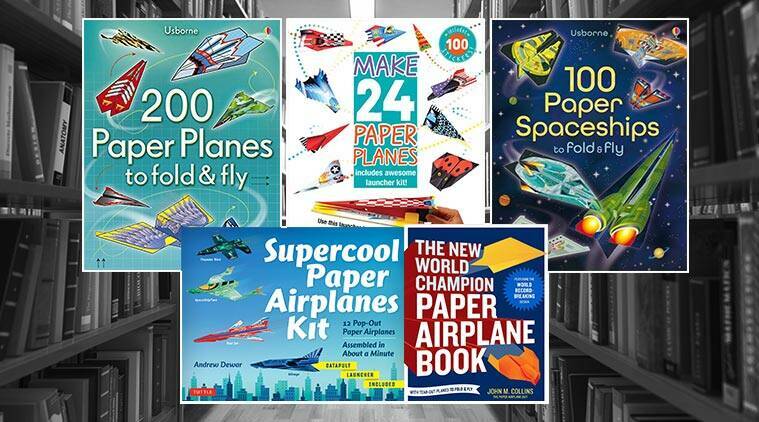 Here some books and tutorials that teach your child to make paper airplanes and help you rewind to your childhood. Make these easy DIY paper planes. If you can’t remember how to make paper planes from your childhood, here are some books and tutorials that make it easy. Get ready for some flying fun with the kids! The author, popular as “The Paper Airplane Guy,” created Suzanne , the paper plane that broke the Guinness World Record by flying 226 feet, 10 inches in the air. Discover 22 airplane tear-out designs for airplane models (including Suzanne), with step-by-step photos, and the promise of hours of flying fun. Collins is also the author of The Gliding Flight and Fantastic Flight, featuring easy-to-fold paper plane designs. Says the author, “Sadly, making things has been largely lost as part of our culture. Toys now need to ‘do something’ so that even playing with the thing is optional. In my view, this is a huge mistake. We are robbing ourselves of a very important experience: experimenting, exploring, creating—in short, making things.” So, go on, make some paper planes! As the book promises, you can look forward to 12 pop-out paper airplanes that you can assemble in a minute. Fold where marked and use the catapult to launch your creation into the air. The designs include a sci-fi inspired Thunder Bird, the vibrant Dragonfly and a high-tech Space Ship. There’s no messy glue involved either. As the name suggests, tear off the sheets, get folding and the colouful planes are ready to fly! The book comes with instructions and flying tips. What child doesn’t love a spaceship? With this book, they can tear out sheets in bright patterns and fold them origami-style to create their own spaceships, with help from the step-by-step instructions. These easy-to-make paper planes cover a range from simple darts to speeding sharks. It comes with a launcher that gets planes to fly at over 15 mph, besides elastic bands, clips and anything else that you need to get it ready. 2 Does your child know the meaning of these 5 untranslatable words?